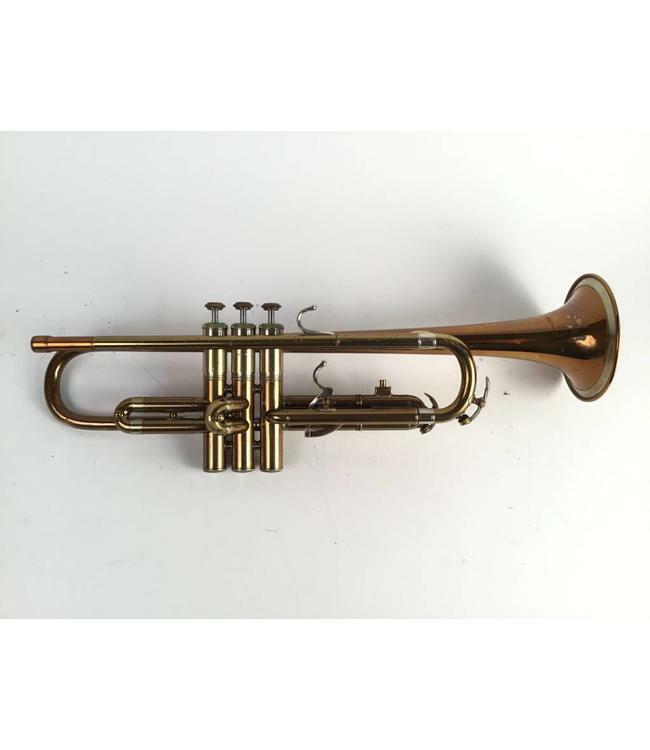 Used Reynolds Contempora 40M Bb trumpet in lacquer finish with third valve trigger. This trumpet is in good overall condition with lacquer wear throughout, mainly at contact points, not affecting playability. No case.